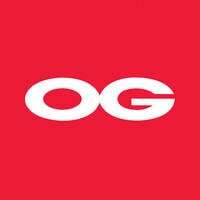 Established in 1962, OG Department Store is a department store that many Singaporeans are familiar with. Starting with its iconic location in People’s Park in the heart of Chinatown, it has since branched out to two other areas which are Albert Complex and Orchard Point. The store seeks to be a one-stop family-friendly shop without the need for customers to break bank. Patrons can head to the department store for a wide selection of products including cosmetics, skin care, apparel, home essentials, electricals, homeware, travel goods, healthy and nutritional supplements, toys, and many more.